As front man for the iconic Rose Tattoo, Angry Anderson needs no introduction. 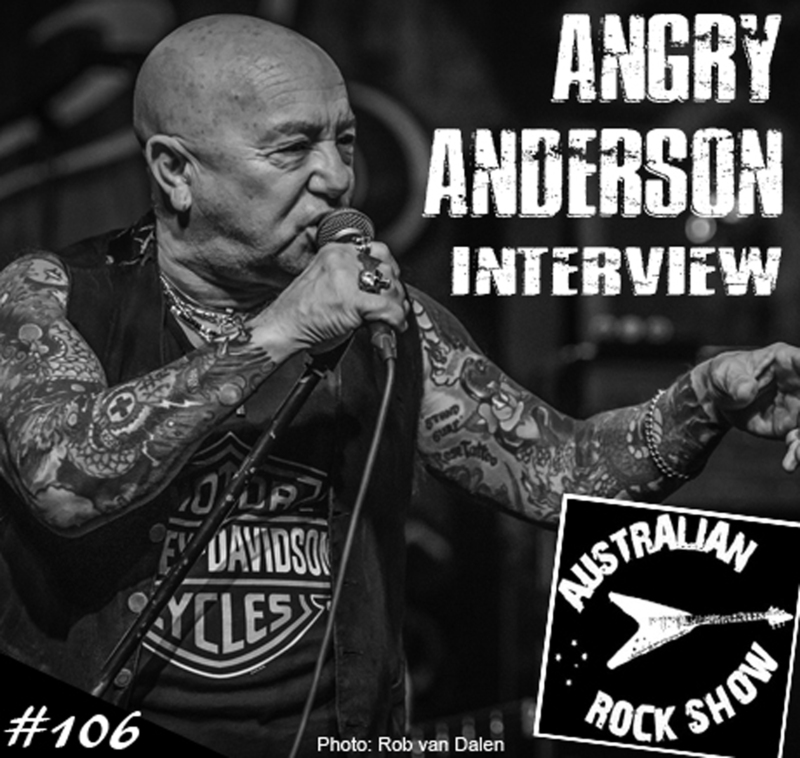 Angry joins us on episode 106 of the Australian Rock Show for a lengthy interview where we take a deep dive into his rock n roll history and ask the questions you won’t hear in other interviews. In this comprehensive chat we talk about everything from Buster Brown to The Faces, touring with Pat Travers, his 1990 ‘Blood From Stone’ album, dueting with Smoky Dawson and recording with Saxon. We talk over the current Tattoo line-up, cover the upcoming tour with the Hard Ons and much much more. Rose Tattoo rock n roll holds a special place and means a helluva lot to us – as it does to many, and this is one show you won’t wanna miss. Tune in and play very loud.